Woodbury Day School opened its doors in August of 2009, as a two-day program for children ages 2 to 5. Last year, we expanded to add a four day Pre-K program. 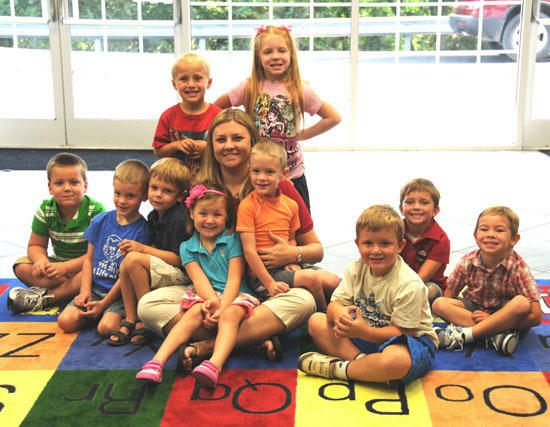 This year, due to demand, we have added a Kindergarten class! We still have a few openings. If you are interested, please visit our website at www.woodburychurchofchrist.org or call 563-5119. We would be glad to answer any questions you might have! Yes, it is Mrs Lindsay Patterson. She's the Kindergarten teacher.